Cobo Tigers have completed a clean sweep of Guernsey cricket titles after winning the Evening League. 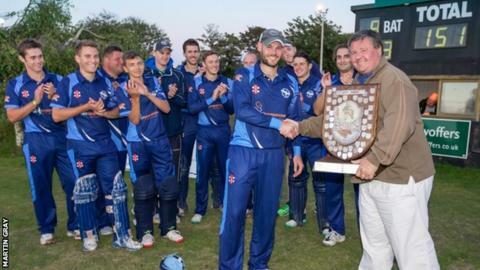 The club, who won the Twenty20 title and earlier this month, took the honours after a tie with Canaccord Griffins at the KGV. Griffins totalled 151-7, with Josh Butler and Tom Kirk both hitting 36. In reply, Ollie Newy top-scored with 39 for Cobo but Will Stephenson was caught off the final ball as they were bowled out for 151.